We Can Help You Get That Coat Back To Its Original Condition or Set You Up With A New Coat. From mink to beaver, we've got you covered! Among the luxuries most people value dearly is the purchase of a wonderful fur coat. In this area, a store renowned for excellence in furs is LANZI FURS, located at 1854 atwood Avenue in Johnston, we are happy to serve you. Give us a call today at 401-231-9174. By Purchasing direct from the manufacturers, this specialty furrier brings you some of the finest in beautiful furs at affordable prices. Here at LANZI FURS we can advise you with expertise that can only come from years of specialization. 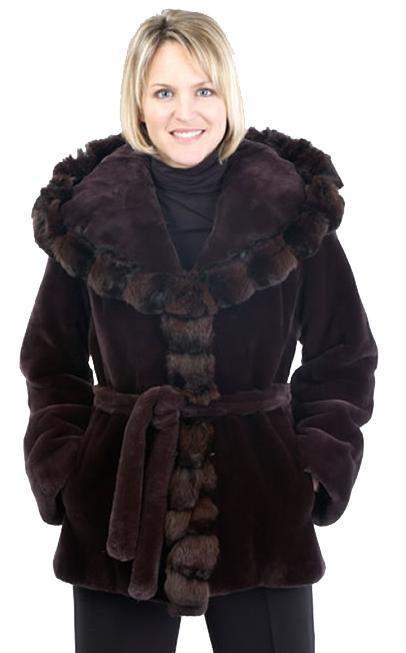 At LANZI FURS we are the experts in the area to see for custom fur-related services. Our skill at fur remodeling, repairing, cleaning, and glazing is widely known, and many people trust our craftsmen with priceless items. 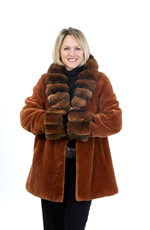 We can also offer you scientific cold storage of your valueable furs or give you an appraisal on your fur coat. If you want to deal with true experts in the fur busisness, stop in the store today to see the experienced professionals at LANZI FURS. Insure your fur on your homeowner's policy for its replacement value, so you won't be heartbroken in case of theft. Furriers usually offer nominal insurance coverage while your coat is in storage and sometimes make further coverage available for a small fee. Be sure you put it in a coat closet that is not exposed to light (which will fade your fur) or heat. Then be sure it has room to breathe and isn't being crushed by other garments. Hang your fur on a broad-shouldered or padded hanger with a long neck. No wire hangers. Ideally, ask your furrier for a professional hanger. Don't cover it in a garment bag. Your fur prefers air circulation, to prevent its leather side from drying. If you absolutely must keep it in a bag for a short period of time, be sure it is in a loosely woven cloth bag. Avoid insecticides, mothproofing and other chemicals around on your fur, including perfume or hairspray directly on your fur. Perfume contains alcohol, which can dry your pelts. If your fur gets wet, don't panic. Most furs handle snow and a light rain with ease. Shake it out and hang it to dry in a well-ventilated room, at home or office. Resist the temptation to speed the drying process by using a hair dryer or hanging it near a heat source. Fur does not like heat. After it dries, shake it again. Have your fur cleaned regularly by a fur specialist, not a dry cleaner. Furs must be cleaned by a special process. Storing your coats over the summer months is an inexpensive way of preserving and maintaining the appearance and quality of your fur garments. 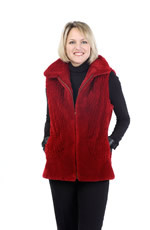 Lanzi Furs offers in-house cold storage facilities at affordable rates. Please feel free to contact us to inquire about the cost of storing your fur garments.